If there’s one thing that’s more important than anything else in investing, it is this: look forward, not back. One way to keep your eye toward the future is by looking at what the kids are doing. While the youngest cohort of millennials and Generation Z, also known as post-millennials, don’t have money and therefore don’t impact the economy in any meaningful way, they will inevitably grow up and get jobs. Eventually, like the older millennials today, these post-millennials will become the biggest driving force of the U.S. economy. So, if you want to look forward and know what will be big stocks to buy in five to ten years, look at what the kids love today. Fortunately, New York youth-marketing firm YPulse recently surveyed nearly 8,500 Generation Z consumers (born after 1997) about their favorite brands. Based on that survey, the company compiled a list of the top 100 Gen Z brands. I took a deep look at that list from an investment perspective. The takeaway? There are twenty stocks to buy out there with mass post-millennial appeal. That mass appeal to Generation Z puts these stocks in a favorable position for growth over the next several years. That doesn’t mean I’m buying all of these stocks, but a few of these top post-millennial stocks do look pretty tasty here. 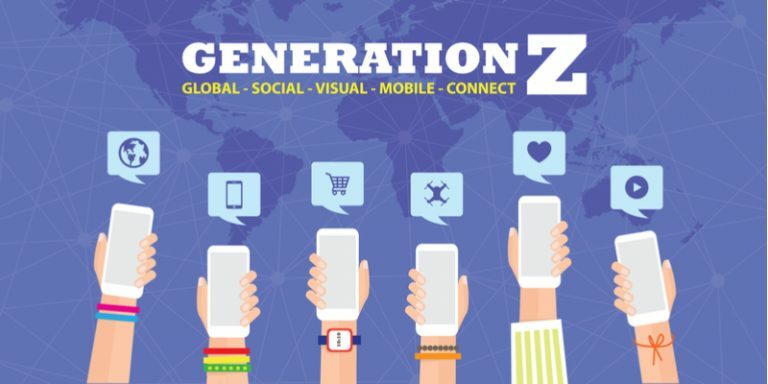 If you’re interested in keeping up with current and future trends, take a deeper look at the twenty favorite brands of Generation Z and the best stocks to buy to play the post-millennial boom. 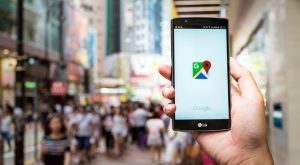 The big winner here is Alphabet (NASDAQ:GOOG). Google’s digital properties did very well on the Gen Z survey, with YouTube coming in as the top brand among Generation Z consumers while Google came in at 13 (good enough for second place among digital advertising platforms). 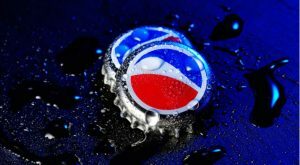 While the original Pepsi brand isn’t all that popular anymore, PepsiCo (NYSE:PEP) had a strong showing on the YPulse survey thanks to its robust snack and drink offerings. 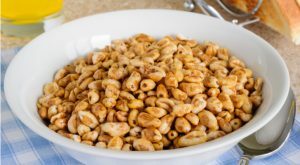 PEP stock has a solid long-term growth narrative through continued expansion of its snack category. The stock isn’t particularly expensive, and volatility is low. Considering enduring popularity among many of its brands, PEP stock does look pretty tasty here. Gen Z consumers grew up in the era of the streaming, so it isn’t surprising to see Netflix (NASDAQ:NFLX) land number four on YPulse’s list. 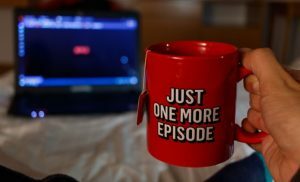 Moreover, Netflix should maintain a high ranking among young consumers because a lot of its original content features young and rising stars in teen-oriented dramas and romantic comedies (the type of stuff Gen Z consumers watch). Back to the snacking category, the top brand outside of PepsiCo was Mondelez (NASDAQ:MDLZ). Oreos finished third in YPulse’s list (top cookie snack), Sour Patch Kids were in ninth place and Chips Ahoy came in at 26 (second favorite cookie snack). 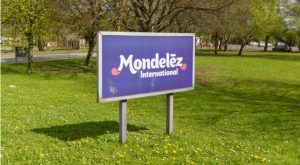 Considering the company’s diverse portfolio of brands with enduring popularity, MDLZ stock is a solid long-term investment. But valuation remains a near-term headwind, and that headwind should cap upside in the stock. Gen Z’s fifth favorite brand is Hershey (NYSE:HSY), the company behind America’s favorite chocolate bar. Some of this has to do with increased and unique social media engagement, but I suspect more of it has to do with just how tasty Hershey candy bars are and how iconic they have become throughout the U.S.
As far as the stock is concerned, HSY is reasonably valued, on a recent uptrend, and features a nice near 3% yield. I’m not sure HSY stock is a big winner. But at current levels, and considering current fundamentals, Hershey’s stock should continue to do well for the foreseeable future. Post-millennials favorite athletic brand is Nike (NYSE:NKE). Nike has long been the king of athletic retail, so this isn’t terribly surprising. 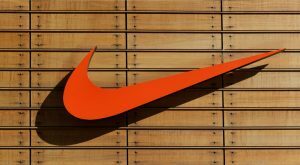 But Nike has also been taking a number of sociopolitical stances recently, and those stances tend to resonate strongly with Generation Z consumers and Nike’s core demographic. Nike stock is riding high right now. But valuation is a problem. The numbers will remain good and keep the valuation inflated in the near-term. That isn’t sustainable. Eventually, there will be a hiccup, and NKE stock will drop. That will be a dip worth buying. Pundits thought that fast food giant McDonald’s (NYSE:MCD) was losing its cool thanks to health food trends. They couldn’t be more wrong. 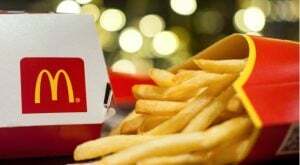 Not only did McDonald’s come in at number 10 in YPulse’s list of favorite Generation Z brands, but it was also the top restaurant brand. From an investment standpoint, I’m a big fan of MCD stock here and now. This company dominates where it matters (price and convenience), and is also reinventing its menu to be healthier and more in-line with current consumer demands. In so doing, McDonald’s has guaranteed itself success in both the near and long terms, a combination that should power MCD stock higher. 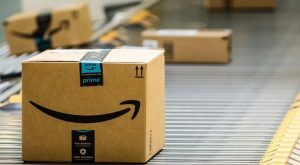 Just as Netflix is super popular among Gen Z consumers who grew up in the era of streaming, Amazon (NASDAQ:AMZN) is also super popular among post-millennial consumers who grew up in the era of e-commerce. The company took home the eleventh spot in YPulse’s list of top Gen Z brands. If anything, Amazon’s popularity will only grow over time as Gen Z consumers earn more money, and spend more money. Because of this increasing popularity and ever-expanding ecosystem, AMZN stock promises to be a big winner for a lot longer. For U.S. teens, Apple (NASDAQ:AAPL) is the gold standard for consumer electronics. 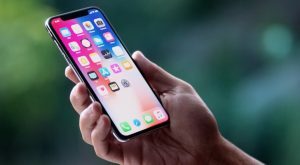 In my experience, the overwhelming majority of U.S. teens have iPhones, iPads and Macs, and they all use them quite often, especially iPhones. From this perspective, Apple’s dominance in the U.S. is solidified. This has made it easy for Apple to monetize its user base through software subscription services, and this will remain true for the foreseeable future. Snack brands made a splash on YPulse’s list of top post-millennial stocks, and one of the better showings came from Kraft Heinz (NYSE:KHC). The consumer staples giant had its Kraft Mac & Cheese finish as the fourteenth favorite Gen Z brand in YPulse’s survey. Much like Kraft, Kellogg (NYSE:K) had a product finish in the top 20, with kid-favorite Pop-Tarts being named the sixteenth favorite brand among Gen Z consumers. This tactic should continue to work for the foreseeable future. But, at this point in time, it looks like K stock has already had its day in the sun. The stock is up big since May. The valuation isn’t overly compelling. And, the dividend yield isn’t all that attractive below 3%. As such, I think investors can wait for a better entry in this name. Although McDonald’s dominates the restaurant industry in terms of wide-spread popularity, a close runner-up is Taco Bell, owned by Yum Brands (NYSE:YUM). Taco Bell — due to its huge social media presence, menu innovations and youthful and energetic advertisements — was ranked as the seventeenth most popular Gen Z brand on YPulse’s survey, and the second food chain behind McDonald’s. Yum’s other food chains, KFC and Pizza Hut, also made the top 100 list. YUM stock actually looks pretty good because Taco Bell remains hot, and KFC and Pizza Hut are steady. The valuation is pretty big, so I’d be wary of that and wait for a pullback. But, the narrative of this company growing primarily through Taco Bell is promising, and it is a narrative that you want to buy when the price is right. Good news. Gen Z consumers believer in grooming. When it comes to grooming, the brand they trust most is Axe, owned by Unilever (NYSE:UL). On YPulse’s list of top Gen Z brands, Axe took home the eighteenth spot and the top spot among men’s grooming and cosmetics brands. That is a good place to be for Unilever. But, UL stock hasn’t done much of anything over the past year. Growth isn’t spectacular. The valuation isn’t compelling. And, the yield isn’t all that great at 3.2%. Overall, I don’t really see any reason to own UL stock at this point in time. One of the more confusing names on this list is L Brands (NYSE:LB). The company’s Bath & Body Works brand had a strong showing on YPulse’s survey, finishing at number 21. But, the company’s other brands, Victoria’s Secret and Pink, weren’t in the top 100. LB stock has been dragged down to multi-year lows thanks to natural beauty trends eroding the popularity of Victoria’s Secret and Pink. Those struggles will continue. 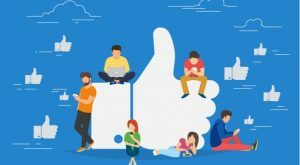 Facebook (NASDAQ:FB) is supposedly losing its cool among younger audiences, but according to the YPulse survey, Facebook properties are the still most popular social media apps in the world. Instagram was number 23 on the list, and the number one social media app. Facebook, meanwhile, was number 39. The second most popular social media company among Gen Z consumers is Snap (NYSE:SNAP). 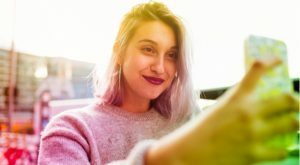 The company’s core photo-sharing app, Snapchat, was ranked the 27th favorite brand on YPulse’s survey, and the second favorite social media app behind Instagram. It is no secret that Instagram is stealing users, engagement, and mind-share from Snap. The YPulse survey confirms this at a young consumer level. That isn’t great news for SNAP stock, but below $10, the valuation on this name looks compelling and upside is promising. I’ve always believed that Coca-Cola (NYSE:KO) has the best marketing team in the game, and the YPulse list seems to confirm this. Gen Z consumers rank Coca-Cola as their 29th favorite brand, and their favorite beverage brand in the world. Considering dark cola is on the way out, this still high rating is a testament to Coca Cola’s ability to favorably market their product despite adverse macro conditions. Because of this unparalleled ability to navigate troubled waters with minimal damage, KO stock looks like a solid long-term investment. It won’t generate meaningful alpha, but it will provide a nice and safe 3.4% dividend yield in a low-risk environment. Nike is king in athletic retail. 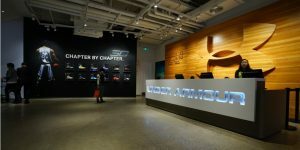 But, one of the athletic apparel brands up and coming among Gen Z consumers is Under Armour (NYSE:UAA), which took home the 30th spot on YPulse’s list of top Gen Z brands. This one confuses me. Everywhere I look, I see a lot of Nike, a lot of Adidas, and a lot of Lululemon. But, I don’t see much Under Armour. Right behind Under Armour is fellow athletic apparel brand Adidas (OTCMKTS:ADDY). 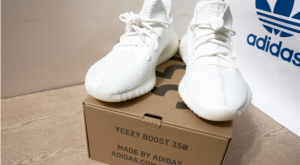 Adidas has leveraged a return to retro styles and some huge celebrity endorsements to burst back onto the athletic retail scene, and the company has been creating trendy products ever since. ADDYY stock is a tough one to trade. This was a big winner during the upswing in the Adidas trend. But, that trend seems to be fading now, and ADDYY stock has fallen flat for about a year. I’m not so sure that the fundamentals have caught up with what had become a super-charged valuation, and so I think investors should wait a bit longer before buying into this name. 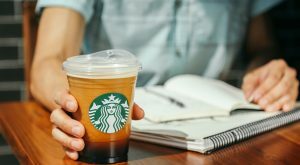 The first coffee house to appear on the list of Gen Z’s favorite brands is, not surprisingly, Starbucks (NASDAQ:SBUX). 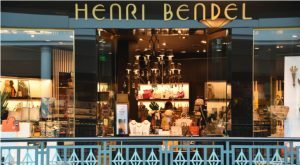 This is welcome news for a brand that has struggled to drive traffic growth amid rising competition from indie coffee houses, and considering Gen Z consumers would likely be the first to ditch Starbucks, it is good to know that they aren’t ditching the brand en masse. Article printed from InvestorPlace Media, https://investorplace.com/2018/09/20-stocks-to-buy-with-massive-gen-z-appeal/.